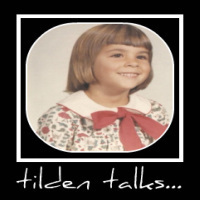 tilden talks...: Win An Entire Hotel For You and Your Friends! This is a Sponsored Post written by me on behalf of Hampton Hotels. All opinions are 100% mine..
What if you had access to an entire hotel for one weekend? Who would you invite to share the hotel with you? Think of it: 100 hotel rooms, for you and your friends, for two whole nights! Where would you go? I can think of a few cities I would love to invade with a bunch of my friends! By entering the Hampton Chain of Friends Sweepstakes, you very well could WIN 100 hotel rooms at a Hampton Hotels and Suites for a weekend AND $5000! The exceptional part about this contest is that its open to everyone, not just Hilton Honors members or folks who have stayed at a Hampton in the past. So enter to win! I already entered, and I am making a list of who I will invite. (Q & A, Melli, Thom, Susan, Sylvia, Doug, Manda and wow Regis Philbin!) I would love to take all my friends to New York City! Many of whom have never seen the Statue of Liberty of the United Nations. My all time favorite is the Empire State Building, I love the Art Deco style. I am really hoping that the room service staff is ready for us, because we sure can eat! After sightseeing and possibly a show and some shopping, we will all be starving and ready for late night snacks! Don't forget to save a room for Ella! I'm not sure I have enough friends to FILL UP 100 rooms... but I would have NO problem at all spending that $5000! Hmmm... I just stayed in a Hampton in PA... I'm off to enter! And if I win, YOU will be the first friend I invite - followed by several others on your list! I am so glad I made your list. I am one of those who hasn't seen NYC. I'm hoping you or Melli win, cuz if you do I know I'll get to go!